As sports fans it’s easy to draw inspiration from some of our favourite athletes. Their constant brilliance, versatility and most importantly hard work, make it easy for us to become motivated by what we see. However, what we don’t normally see, although it happens on a regular basis, are the athletes who we constantly look to for inspiration seek their motivation through some of those within everyday society or from the loved ones around them. The very fact that most sports fans look at athletes as heroes makes it easy to forget that they too are humans that look to others for support or a positive push. 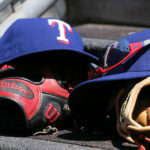 Former Texas Ranger and Major League pitcher José Guzman has never been a stranger to charity work and the concept of giving back, but it was an unfortunate illness to his mother and the selflessness of his sister that motivated Guzman to make a positive impact with a purpose in mind. José’s mother passed away from Alzheimer’s disease nearly four years ago and since then he has worked tirelessly to raise awareness and assist the individuals and their families who are all suffering from the terrible disease. “I decided I wanted to do something and the reason was because when my mom got dementia and then Alzheimer’s, my sister took care of her the entire time. She lost her job, quit everything and gave my mom attention 24/7,” Guzman praised. “My impression was that I needed to do something for the people who need to take care of someone at home because many people cant afford the proper care. What many then do is take care of that loved one at home and by doing that they can’t go to work and end up losing their job, leaving them without the sufficient money for the medication or whatever it is they need,” stated the Santa Isabel, Puerto Rico native. By taking matters into his own hands, Guzman’s Foundation, the Guzman 23 Foundation, provides financial assistance for the families with loved ones who are suffering from Alzheimer’s. Guzman, who had always participated in various charity events as a player, has begun hosting his own annual fundraisers for Alzheimer’s, bringing in many former players to help spread the word and awareness regarding this devastating and unfortunate disease. “Last year for the first time, I held my celebrity golf tournament in October. We had about 230 players so it was a great event and now were getting ready to do a poker tournament on April 13,” said the 1991 AL Comeback Player of the Year. “I try to stick to two big events a year because you don’t want to do too many and hit the same people, so I want to have two great events in the spring and fall where we can help out and try to raise some funds for these people,” he added. Aside from funds, José Guzman is just as dedicated to raising awareness and informing the general public about just how much of an effect Alzheimer’s can have on not only an individual, but their families and loved ones around them. The former pitcher plans on returning to his native home of Puerto Rico to meet with several doctors and researchers in an effort to educate the Puerto Rican people about the health condition. “We want to spread the word and educate people about Alzheimer’s. We don’t want to raise money for it and have people be blind to the fact, we want people to really know all the facts about it and not just how people lose their memory, but everything else that goes along with it,” Guzman concluded. José Guzman played in the Major Leagues for nine seasons, living a dream and inspiring others to follow theirs. Through an unfortunate but real situation, he has continued to inspire others as he was inspired and touched by his sister’s undying love for their mother. As we’ve learned in the battle against cancer, a disease may not be entirely beatable, but with our love, care and commitment, it can be challenged and maybe one day nothing more than a thought.